After we determine the goal of your site, we need to get some layout choices together for you to approve of before development. We make sure that your message is consistently clear through clean website design that invites interaction, not distraction. Need a website with unique features and capabilities? We’re not only designers, but coders as well. We develop powerful websites that will wow your clients, drive traffic and convert those visits to sales, calls and mailing list subscriptions. Call us if you want to B-Graphic! We have experience building secure, scalable and robust e-commerce websites. Whether you want to use paypal, authorize.net or another payment processor, we can set you up with everything you need to safely and efficiently conduct online sales. We like to be a one-stop-shop for our clients. After development of your awesome new website we can host it for you as well. Hosting includes SSL Certificate, Email Addresses, Backups and 30 mins monthly design time, which means quick website updates at no extra charge. You have the perfect website, what do you do if it can’t be found? Let us help you develop an online marketing strategy that will help you connect with your customers and clients. We set up your Search Optimization, build your SEM ads, then teach you to manage those ads. Sending messages to your clients and customers with anything other than an @yourdomainname email can cost you business. It’s ok if you still want to use a webmail service, we can set up a proper email address for you and forward it to the email address you use most. 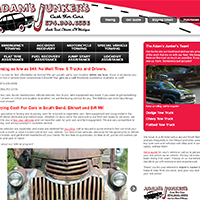 We build new one of a kind websites or update existing websites. If you’re ready for a full update, we can jump into Photoshop and give you brand new design layouts that are ready to convert to code. We can create that code in a HTML5 Bootstrap responsive website or a custom WordPress (WP) theme from scratch. WordPress allows you to manage and update your one of a kind website, even from your mobile devices. Training is available from us of course. We can also use available WP themes and templates for faster starts and less end cost. We can host your website, add Search Engine Optimization, Google Analytics and create and manage a Google Adwords account, if you like. 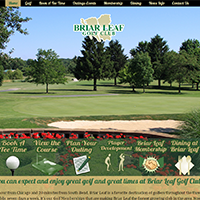 We create new logos, web banners and graphic design imaging, add forms, file uploading capabilities, newsletter database interactivity and new E-Blast templates. We add shopping pages using many different technologies. We can do the photography of products, shoot video, add graphics to those images and videos, write the copy, build the shopping pages and carts, add SSL security, you name it. Many businesses are discovering that their website is now their storefront, it needs to be of top quality to convert those visits to sales. Bootstrap Frameworks and HTML5 – CSS3 allow us to create some really exciting interactive elements to our website builds. How about images that flip like a card to reveal text and links on the back? Perhaps your site could use an interactive image that doubles in size when the user hovers their mouse over it. These types of transitions really help your visitors engage in your website. The possibilities today far surpass what was possible even a few years ago. The latest coding inBootstrap, HTML5 and CSS3 work with modern browsers to produce stunning effects through interactive elements on your website. If your site has little to no interactivity, maybe it’s time to get some updates from us! We can add all the elements you need to your website. 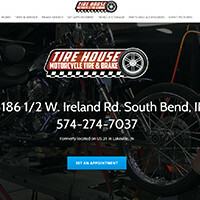 We are based in South Bend, Indiana but work for companies across the US producing both web and print materials. Contact us if you want to B-Graphic! 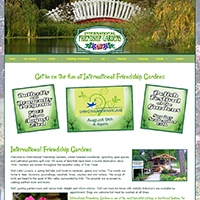 Interactive website design, custom WordPress Theme and Newsletter Database Management. New logo, analytics and SEO, combined with online appointment setting and an appealing style. 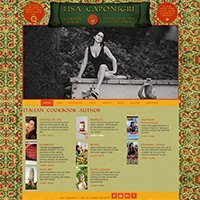 Interactive Home Page Images, Donation Forms and a completely custom WordPress Theme. New logo, custom WordPress Theme, analytics, SEO, SEM along with a couple of video blogging categories. 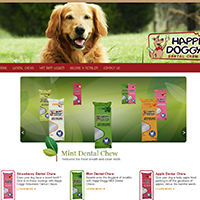 This site in development will showcase some healthy canine chews in an interactive carousel. SEO optimization and clear precise SEO copy writing took this site right to the top of google listings!